University of Arizona researcher Nicole Fischer studies the division of labor in ants. University of Arizona researcher Sarah Bengston seeks to understand ant behavior at the colony level. Ants are social insects, Why, if they had fingers, they would probably have iPads. So it’s somehow appropriate that at least two researchers at the University of Arizona are raising money through social-media sites to study aspects of ant behavior ﻿. It’s a mushrooming phenomenon in these cash-strapped times — crowd-sourcing to replace dwindling federal dollars for basic research. It’s so new, however, that UA administrators aren’t prepared to deal with it and won’t allow faculty and staff to take advantage of it until they devise a way to defray the “indirect costs” of supervising research. For the two graduate researchers in Anna Dornhaus’﻿ social-insect lab, the small amounts of money they hope to raise on the Internet site would buy a computer processor for analyzing recorded ant behavior and buy time on the UA’s most precise microscopes to examine ant brains. 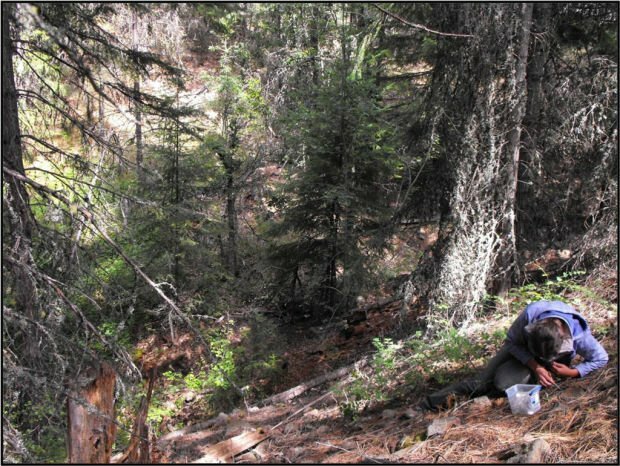 Nicole Fischer﻿ studies the division of labor in colonies of temnothorax rugatulus, an ant she collects at about 7,000 feet in altitude in the Santa Catalina Mountains. Fischer, a second-year graduate student in ecology and evolutionary biology, wants to explore the link between physiological differences in the neural systems of her ants and their behavior. The UA has the tools in a central research core, but it costs $34 an hour for time on the confocal microscope and $75 an hour for the electron microscope. “It’s frustrating to have these questions that are so interesting and to be held back by something so trivial as money,” said Fischer. Fischer needs to raise $2,120 in the next two months. Sarah Bengston﻿ takes a wider view of the same ant species, seeking to understand behavior at the colony level, to find out why some colonies are risk-taking and aggressive while other ants huddle together in their safe, well-defended colonies, venturing out only when necessary. Bengston pursues her colonies as far north as Seattle, driving, camping and crawling through leaf litter to watch her ants. In the lab, she uses digital cameras to record their wanderings. 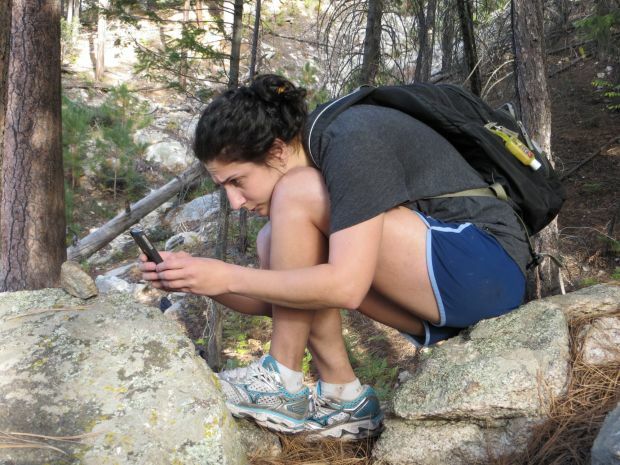 She needs more computer power and specialized software to track her ants’ wanderings. She has 40 more days to raise $3,200. Bengston and Fischer have both sought funding for their research from the National Science Foundation, and both recently received honorable mentions for their proposals. That’s the reason the website microryza invited them to submit their research for crowd-funding, Bengston said. Research money is stagnant or shrinking, and competition for it is growing, said Dornhaus. Dornhaus, a noted researcher of social insects, continues to win grants and uses them to support the graduate students in her lab, but grant awards are shrinking. “I get money because I know and the NSF knows it has a likelihood of paying off,” she said. The students don’t have a track record of success and proven methodology. What they do have, she said, are interesting questions that may or may not yield results. Often those questions are the seed of a life’s work, said Jennifer Barton,﻿ UA vice president for research. “These kinds of small grants are so critical. A lot of us faculty remember when we got a couple thousand dollars to pursue something that we’re still working on,” she said. Barton said the university has recently put more money into a “seed” fund for graduate research, and she sees a role for social media crowd-funding in the future. For now, she said, the university is telling faculty and staff not to make commitments to such sites until the university formulates a policy. Grad students are free to pursue the crowd-sourced grants, she said. “We’re rapidly figuring out how to best incorporate crowd funding into our mix of funding sources,” she wrote in an email when asked to clarify the UA’s stand. In an earlier interview, she praised the entrepreneurial spirit of Fischer and Bengston and said she saw a place for social-media funding in academic research. The university incurs costs when research is done, Barton said. If it doesn’t take a share of grants and gifts “we’re cost-sharing,” she said. The routine university cut is 51 percent, but it negotiates lower rates for some grants, including those that directly support graduate students, she said. Cindy Wu, the microryza co-founder, said her company’s model does not include payments to institutions, preferring that the money go directly to the research outlined in the proposals. Microryza takes a 5 percent cut and an additional credit-card processing charge of 3 percent. Wu said the “mission-driven” for-profit company has funded 50 projects for $350,000 since it began hosting proposals in April 2012. Its success rate is 30 percent, she said.